On 30th January, the innovative game provider Iron Dog Studio was happy to announce they’ll soon release a new slot! Indeed, Viking Wilds will land in the lobby of LeoVegas on 6th March. 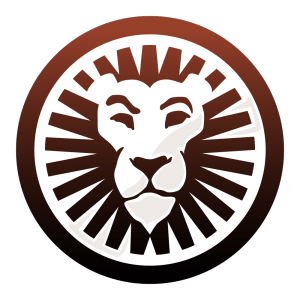 And until 27th March it’ll only be available on LeoVegas Casino. After that, the game provider will release the new Norse slot across the whole 1X2 Network. Viking Wilds and the Curious cabinets are Iron Dog Studio first two releases of the year. James Ford, Head of Casino at LeoVegas confirmed that the award-winning brand was over the moon to get this game on exclusivity! The senior executive even confirmed that Iron Dog Studio games had shown great potential since the Lion brand release them onto their network! So let’s examine the upcoming release that has everybody talking! In the same press release Kevin Reid, CCO at 1×2 Network couldn’t contain his excitement about the upcoming casino slot. He even said that Viking Wilds was “the most impressive Iron Dog Studio launch to date”. Surely, Reid was referring to the impressive mechanics this game offers with his comment. Indeed, the new Vikings Wilds offers a progressive pay structure, and the base game offers 1024 ways to win. And the Free Spins grid expend and offers 3125 ways to win. But let’s not forget to mention that this game also gives players the opportunity to win up to 6000x their original stake.